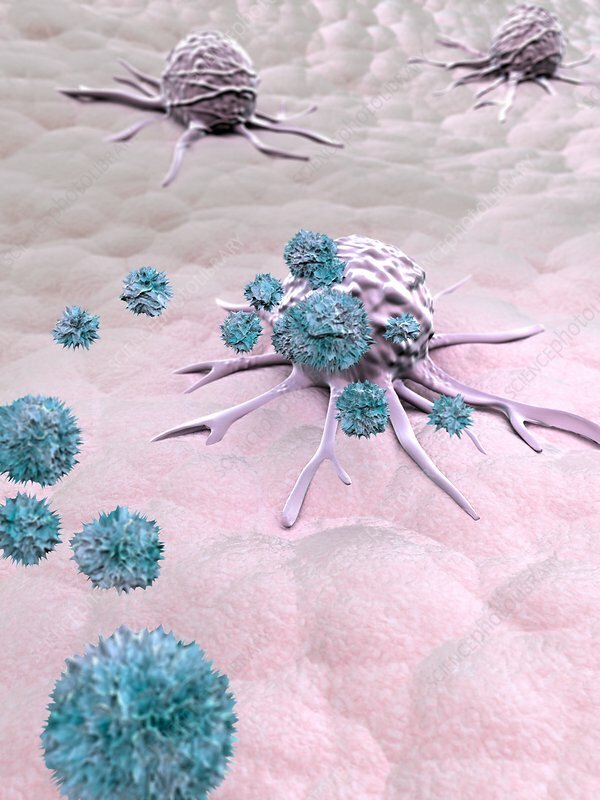 Illustration of natural killer (NK) cells (blue) attacking a malignant (cancerous) cell. NK cells are a type of white blood cell and a component of the body's immune system. They recognise certain proteins, or antigens, on virus-infected or tumour cells and destroy them.